(WACO) – Texas State Technical College won medals in four events at Friday night’s closing ceremony of SkillsUSA’s 54th annual National Leadership and Skills Conference in Louisville, Kentucky. 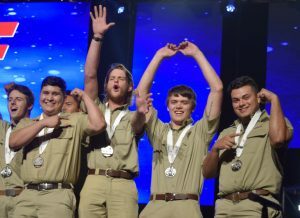 The ceremony was electric as delegations of high school and college students from Hawaii to Puerto Rico filled Freedom Hall and cheered for medalists and SkillsUSA’s new national officers. TSTC alumnus Jeremiah Stones won the gold medal in Computer Programming. 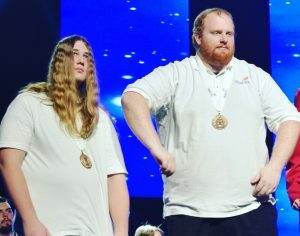 Category contestants had to solve computer programming problems. Stones, 33, grew up in Waco and graduated in December from TSTC with an Associate of Applied Science degree in Computer Programming Technology. He took the week off from his job as a computer programmer at Citibank in Irving to make the trip to Kentucky. Stones competed in 2017 at the national conference in 3D Visualization and Animation. 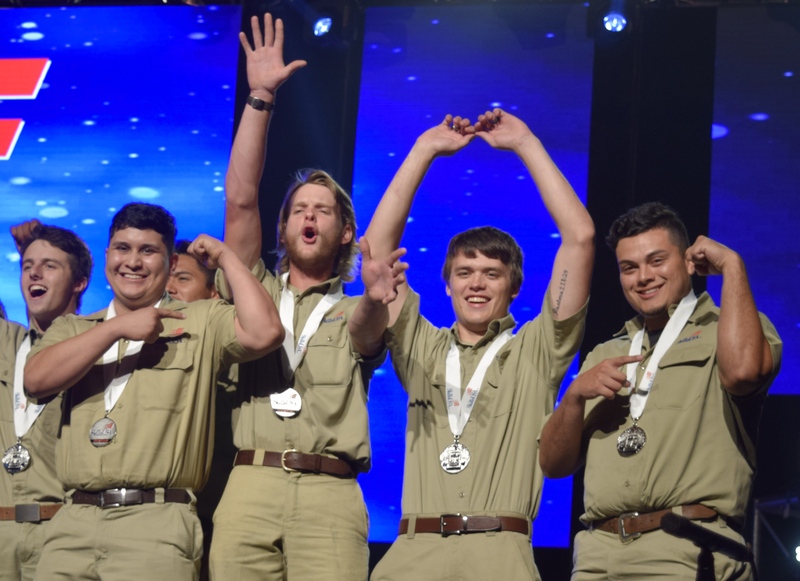 The TeamWorks group of Jack Chance, Ricardo Delgado, Joseph Hermann and Andres Zapata won the silver medal. This is TSTC’s first TeamWorks group ever to receive a national medal. 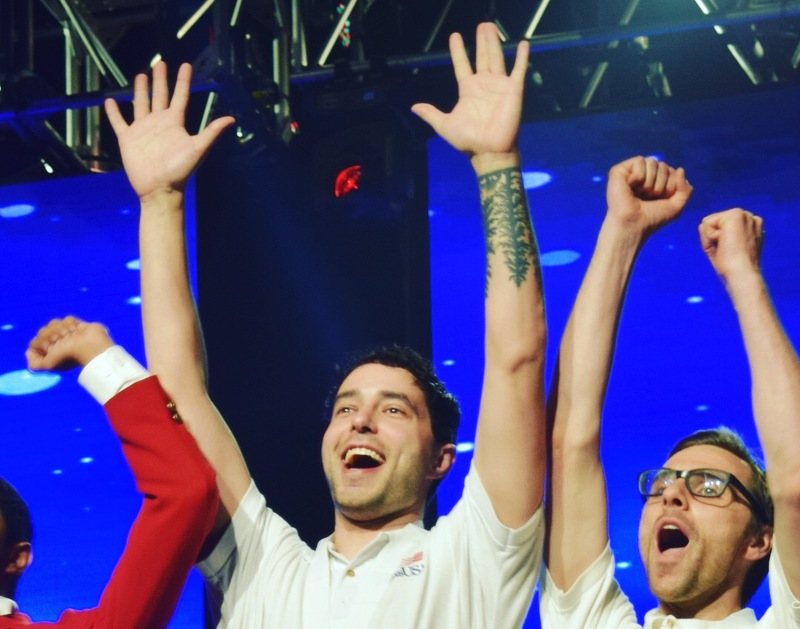 The team of Dylan Borg and Travis Pitrucha won a bronze medal in Interactive Application and Video Games Development. The students had to produce an original sample of an interactive video game or multimedia application. 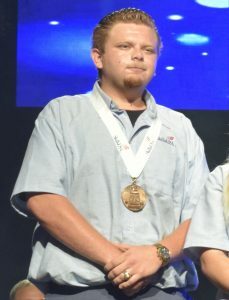 Juan Alcala won a bronze medal in Collision Repair Technology. Alcala, 20, of Bertram, is an Auto Collision and Management Technology graduate working on an Advanced Technical Certificate in Auto Collision Refinishing that he will receive in December. Alcala credited Jacob Pevia, an instructor in TSTC’s Auto Collision and Management Technology program, for helping him develop his skills for the competition. One of the tasks Alcala did in his competition was a damage analysis. TSTC students from Fort Bend County, Harlingen, Marshall, Waco and West Texas participated in the conference. The students qualified for the national conference by winning SkillsUSA Texas’ state conference in April in Waco.